Over the past 5 years, mortgage scams have risen by more than 75 percent. Many Americans have been rushing to banks and other financial institutions to take out a first mortgage, second mortgage or to refinance their mortgage. 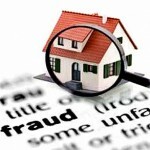 This gold rush has led to a significant increase of mortgage fraud. Some mortgage scams are purely operating websites only (virtual offices) as they obtain people’s credit information and disappear with millions of dollars from innocent citizens. Other scams come in different forms, so it’s important to educate yourself on what to look out for. The rising demand. The demand for mortgages over the past decade has tripled compared to the last 40 years in the United States. This gold rush for loans from citizens has led to a massive increase in the levels of mortgage fraud. Increased use of online services. Mortgage scams and fraudsters are at their best when working online. They create websites with attractive products, fast responses and immediate approval—features which obviously attract vulnerable borrowers. In most cases, they don’t have physical offices. Ignorance of the law. A rise in mortgage fraud is also prevalent because many borrowers don’t know the law. Those with any banking or law knowledge, and some knowledge about the rules of Freddie Mac and Fannie Mae can therefore easily take advantage of borrowers. Mortgages being viewed as a source of cash. Second mortgages and refinanced mortgages, depending on the terms and the lender in particular, always provide extra cash to the borrower. Since many Americans are in need of cash, the fraudsters take advantage of this need and rush to con the applicants. Upfront charges. Terming themselves as forensic loan auditors and foreclosure prevention champions, mortgage scams will ask you for upfront fees to offer you these services. They will offer to give you their report so that you can use it against foreclosure, reduce your loan, speed up the process of loan modification or totally cancel your loan. However, all of these are fantasies in the real financial world. Offer to do all the paperwork for you. They will often offer to fill out all of the necessary documents on your behalf. This is not the usual characteristic of a true mortgagor who requires you to do the paperwork yourself. Purchase loans are disguised as mortgage refinances. A purchase loan is actually an amount of money which is acquired in order to purchase cars, houses and other forms of property at variable or fixed interest rates. On the other hand, a mortgage refinance is a replacement of the existing obligation with a debt obligation under unique terms. Such a disguise will only lead to more problems than solutions. Falsified documents to support the loan documentation. They will easily accept fake credit reports because they know that all they want from you is money. They sign fake brokerage deals and lawyer’s agreements to start off the deal. Material misstatements. All the mortgage scammers are characterized by misrepresentation and omissions upon a lender or an underwriter in the process of funding, insuring or purchasing a loan. This has been released by the FBI and is one of the leading checks used to investigate mortgage fraud. These scammers also promise you that they will modify your mortgage in a bid to prevent a foreclosure regardless of all the circumstances surrounding you. Inflated and exaggerated appraisals. Normally, a mortgage company requires appraisal reports of a house from several appraisers so that they can make a comparison and pick the most reliable figure. However, scammers have an inflated appraised figure of the house which has only been prepared by a single appraiser to suit their selfish needs. This often translates to a huge down payment and high monthly repayments. High commissions and bonuses. Since they promise you “impossible” services, they will always ask you for huge fees for services offered and bonuses for the “guaranteed” results. They require high brokerage commissions because they offer to do everything on your behalf. Form of payments. Other than the usual mortgages which require you to repay in terms of bank transfer, mortgage scams have several forms of payments including cash, checks and wire transfer. These forms of payments are not only aimed at fooling you to recognize how advanced they are but also escape the rigorous audit process instituted by banks. Request you for the power of the attorney. Taking advantage of your ignorance of the law, mortgage scams ask you to confer upon them the power of the attorney so that they can use it to enforce the law. Invite you to leaseback schemes or equity strips. If you are languishing in problems because you are unable to repay your mortgage, then a mortgage scam will promise to help you come out of that situation quickly. To avoid a looming foreclosure, they will sign a deed over to a virtual rescuer in exchange for continuing to live in the home just as a renter. Meanwhile, the rent payments go towards buying your property back (in somebody’s pocket). In case you’ve realized that you have been scammed then you should quickly report the incident to the Consumer Financial Protection Bureau (CFPB) for further investigations. If you are about to take out a mortgage loan, then be careful where you tread to avoid these huge financial scams.